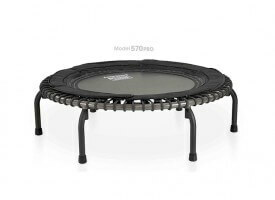 We tried out one of the priciest Jumpsport rebounders around to see whether it’s worth the premium over the Jumpsport 250 and 350 that we already tested and were very pleased with. This is bound to be interesting! Ladies and gentlemen, Model 570 PRO.